Barriers to primary care physicians prescribing buprenorphine. CONCLUSION Interventions before and after training are needed to increase the number of physicians who offer buprenorphine for treatment of addiction. Targeting physicians in clinics that agree in advance to institute services, coupled with technical assistance after they have completed their training, their clinical teams, and their administrations is likely to help more physicians become active providers of this highly effective outpatient treatment. There are many licensed methadone clinics throughout the US that provide methadone treatment for opiate addiction. Data gathered by the National Institute of Drug Abuse show as many as 105 people die every day from drug overdoses. With the widespread abuse of heroin and prescription medications, more than a few of these deaths result from opiate overdose. Making the decision to get help for an opiate addiction represents a new beginning in a person’s life. Methadone, a well-proven treatment for opiate addictions, has helped many recovering addicts maintain drug-free lifestyles for the long-term. As methadone treatment for opiate addiction falls under heavy federal regulations, this drug can only be accessed through authorized methadone clinics. Locating a methadone clinic is fairly easy online, however it’s important to know what to look for in a methadone clinic program. As with any search engine, methadone clinic locators allow you to narrow down a search to meet certain criteria. Since addiction affects different people in different ways, identifying a person’s treatment needs and understanding how methadone is used can go a long way towards selecting the right methadone clinic. The Substance Abuse & Mental Health Services Administration or SAMHSA oversees all methadone programs throughout the United States. The regulation requirements put in place by SAMHSA work to ensure authorized methadone clinics provide a safe treatment environment. This safety requirement also dictates how any one clinic approaches addiction treatment. SAMHSA defines addiction as a medical condition or disease that affects different people in different ways. From this standpoint, methadone clinics are expected to employ an individualized treatment approach that considers each person’s condition and circumstances when developing his or her treatment plan. These provisions help ensure recovering addicts receive the type of care that will best meet their individual treatment needs. According to the Substance Abuse & Mental Health Services Administration, methadone is a synthetic opiate drug designed to duplicate the effects of addictive opiate drugs without producing the characteristic “high” that drives addictive behaviors. As one of a few medication-assisted treatment approaches, methadone works as a type of medication therapy that helps recovering addicts gain control over ongoing drug cravings and withdrawal effects. 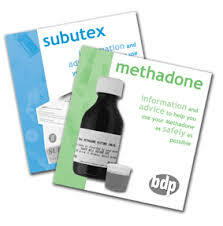 Though synthetic, methadone stills falls within the narcotics class of drugs and so requires strict monitoring and regulation through government agencies. 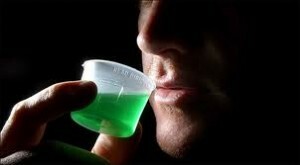 Consequently, methadone clinics must meet certain federal requirements in order to dispense the drug. In turn, any clinics listed in a methadone clinic locator search must have the necessary certifications to treat opiate addictions. Based on the protocols and guidelines put in place by regulatory agencies, methadone clinics combine medication-assisted treatment with behavioral therapies in order to provide a whole-patient drug treatment approach. Methadone clinics employ a specialized type of opiate addiction treatment known as methadone maintenance therapy. Methadone’s therapeutic effects work in much the same way as insulin treatments do for diabetic conditions. It does this by supporting brain and body chemical processes so a person can function normally in everyday life. When first starting methadone treatment, doctors must determine what dosage amount will best reduce withdrawal effects and drug cravings without producing overly sedating effects. Once a stable dosage level is reached, patients check in on a regularly scheduled basis to ensure they’re not experiencing overwhelming withdrawal effects or drug cravings. Dosage amounts can be adjusted accordingly. Once a person reaches the point where methadone treatment is no longer needed, dosage amounts are gradually tapered off. Since methadone functions in the same way as other opiate drugs, tapering schedules should run for a minimum of 12 months to ensure a person doesn’t run the risk of relapse once treatment ends. While methadone clinics do follow certain procedural guidelines, clinics may also offer additional services as part of an overall treatment approach. Methadone’s ability to reduce withdrawal and cravings enable recovering addicts to take steps towards re-building normal lives while in treatment, according to the Centers for Disease Control & Prevention. Someone looking for vocational training and development may want to look for clinics that offer vocational assistance as part of the methadone treatment program. Recovering addicts with family obligations may have some work to do in terms of repairing family ties and restoring normal family function. 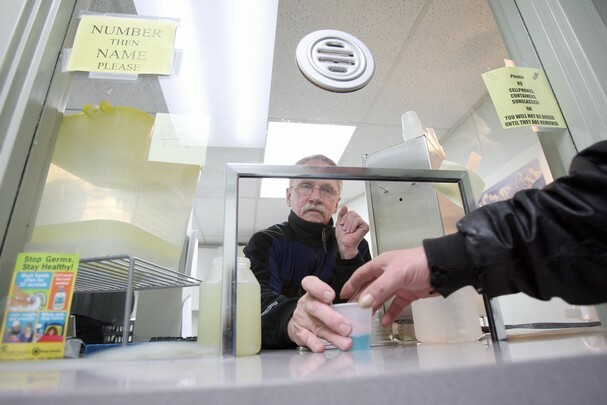 Some methadone clinics offer a range of family services designed to help addicts regain connection within their family units. As many people in treatment have come out of the criminal justice system, their rehabilitation needs can be quite different from someone who doesn’t have a criminal history. Some methadone clinics offer specialized services to help ex-cons regain their footing in everyday society. Whatever a person’s circumstances, the more specific your search for methadone clinics the more closely aligned the listings will be to your particular treatment needs. Opiate’s damaging effects on normal brain functions gradually deteriorates normal brain functions over time. Co-occurring psychological disorders, such as depression, anxiety and bipolar conditions can develop as a result of long-term opiate abuse. These conditions can also trigger drug use behaviors as some people turn to drugs as a way to relieve feelings of anxiety and depressions. For people who battle a psychological disorder on top of an opiate addiction, it’s essential that both conditions be treated at the same time in order for any one treatment to do any good. Even in cases where a person only suspects another condition may be at work, finding methadone clinics that offer treatment for co-occurring disorders is essential to ensuring a person reaps the full benefits of methadone treatment. While the strict government regulations surrounding methadone clinic programs can make methadone treatment less accessible than other forms of treatment, government involvement does help keep program costs down. Most methadone clinics receive some form of federal and/or state funding, which enables programs to offer treatment services at affordable rates. According to the National Survey of Substance Abuse Treatment Services, at least half of the people admitted to methadone programs paid out-of-pocket costs of $13 to $25 a day. With most forms of health insurance offering benefits for substance abuse services, this can further help defray program costs. For people who must pay out-of-pocket, many methadone clinic programs offer a sliding fee payment scale based on a person’s earnings level. Knowing how you’re going to pay for treatment costs provides yet another way of narrowing down your search when using a methadone clinic locator.